Success Criteria – Timing is Everything! 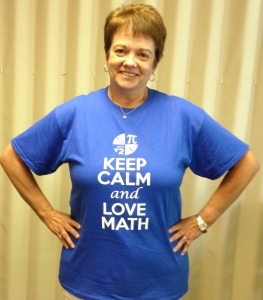 When it comes to math, I have mixed feelings about success criteria at times. Yes, I believe that it is important for students to know what they need to do in order to be successful, but if we want students to solve problems in a way that makes sense to them or if we want to discover what they know, we really need to think about our timing and purpose. Today in a Grade 6 classroom the perfect opportunity for success criteria to emerge presented itself. The students were working on the three transformations – translations, reflections and rotations (Geometry & Spatial Sense). The teacher gave pairs of students a piece of grid chart paper with a pentomino shape traced in the top left corner and the same shape in a different orientation traced on the bottom right corner. The students were asked to move the actual pentomino shape and communicate by describing the possible translations. During the consolidation of the lesson the teacher pointed out a connection between the procedural writing they had been doing in literacy and the communication we were expecting with this task. We created a chart on the board modelling how to set this up. We wanted to highlight the preciseness of the vocabulary as opposed to the amount of writing. When the lesson was nearing completion we looked at the chart on the board and asked students what was needed in order for them to communicate their transformations effectively. This is what emerged in student friendly language from our interactions together. 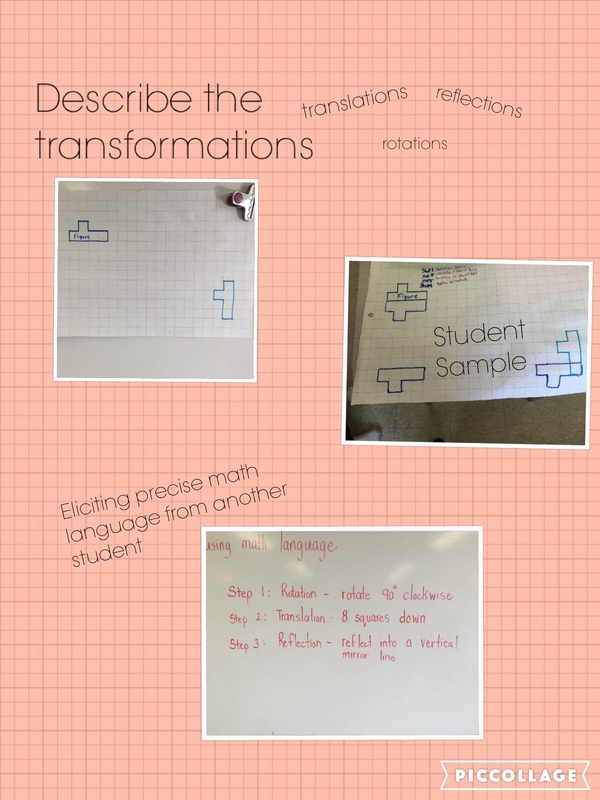 Tomorrow the students will do a similar activity and will use the success criteria on the anchor chart as they communicate their transformations. Teacher feedback will be linked to the success criteria and students will have an opportunity to respond to it immediately. At the end of the lesson all students will be successful! This very same success criteria could have been posted right from the beginning, but I wonder how effective it would have been if simply handed to the students. Once again – timing is everything!